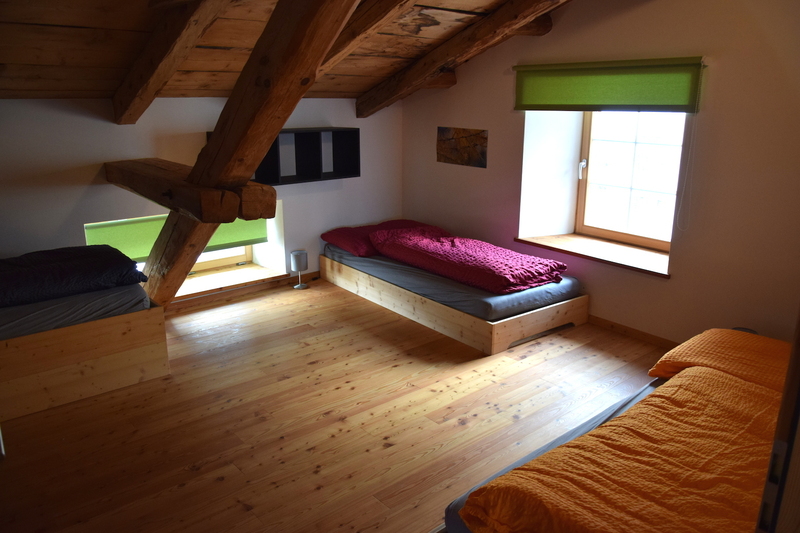 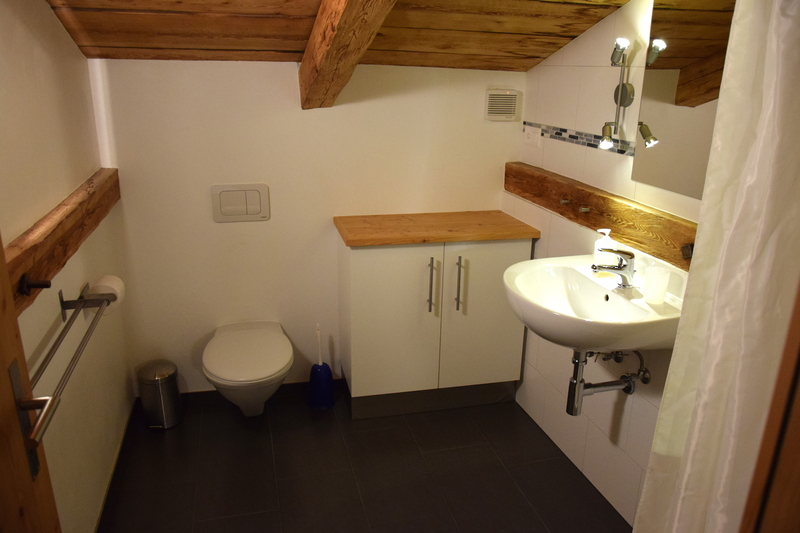 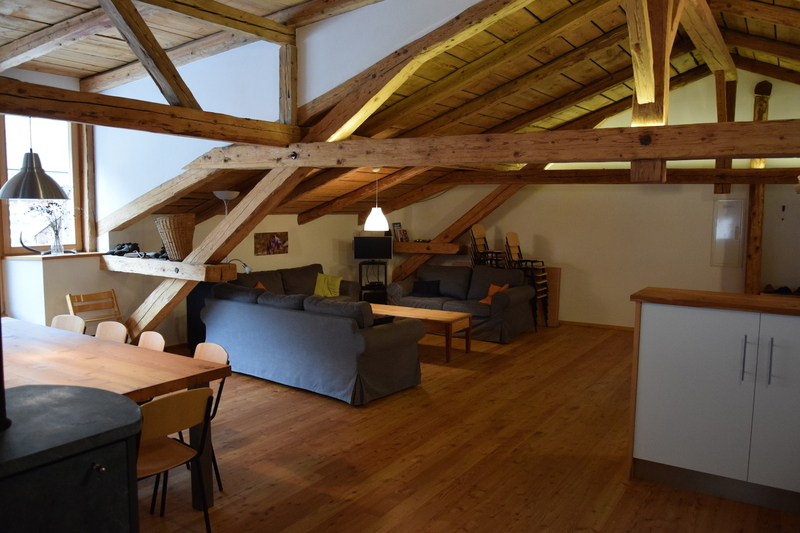 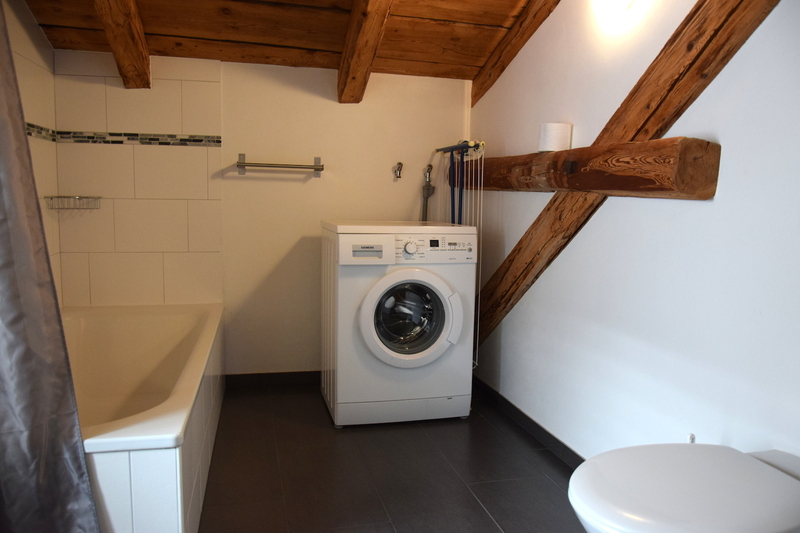 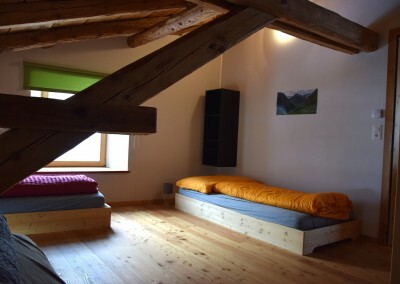 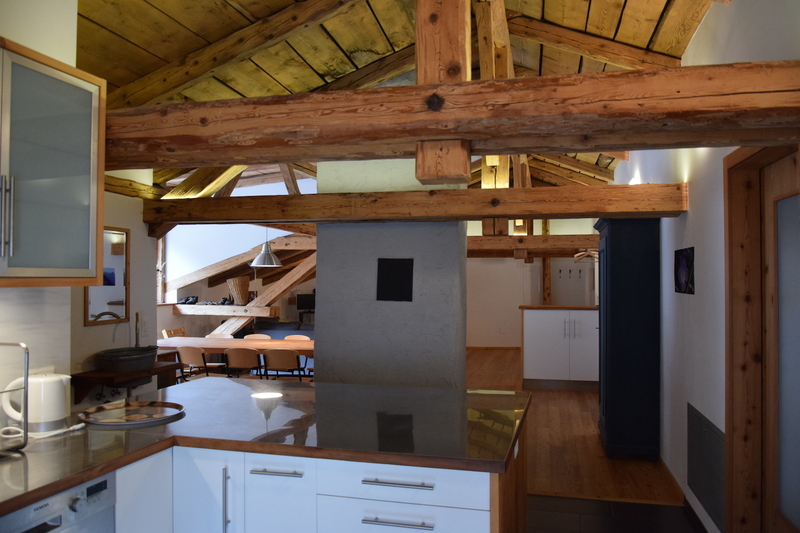 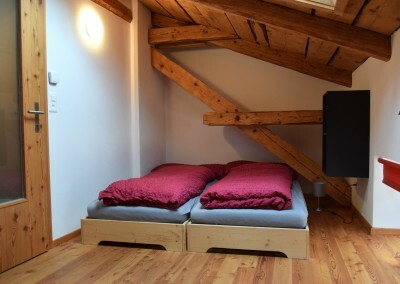 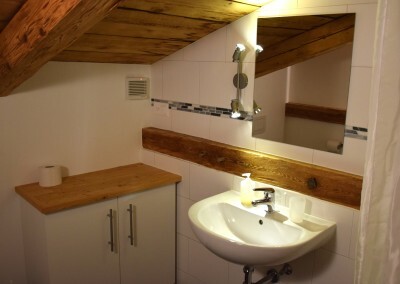 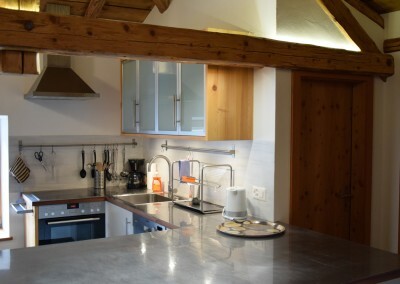 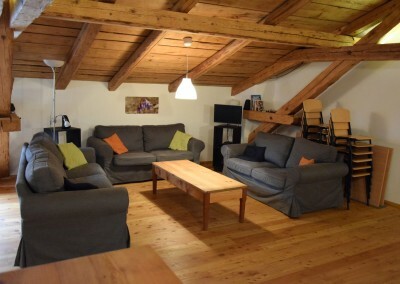 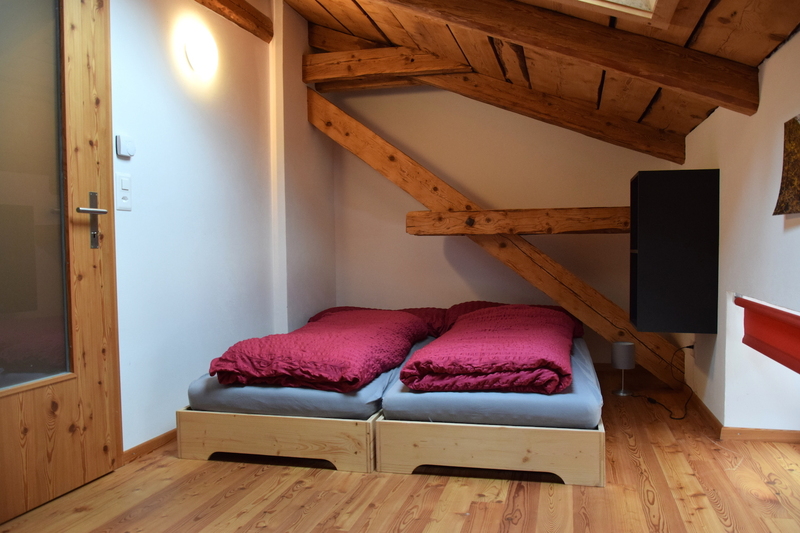 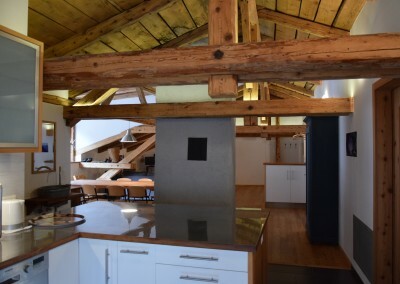 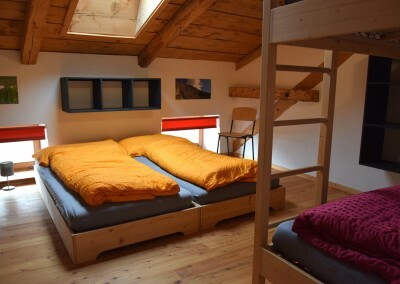 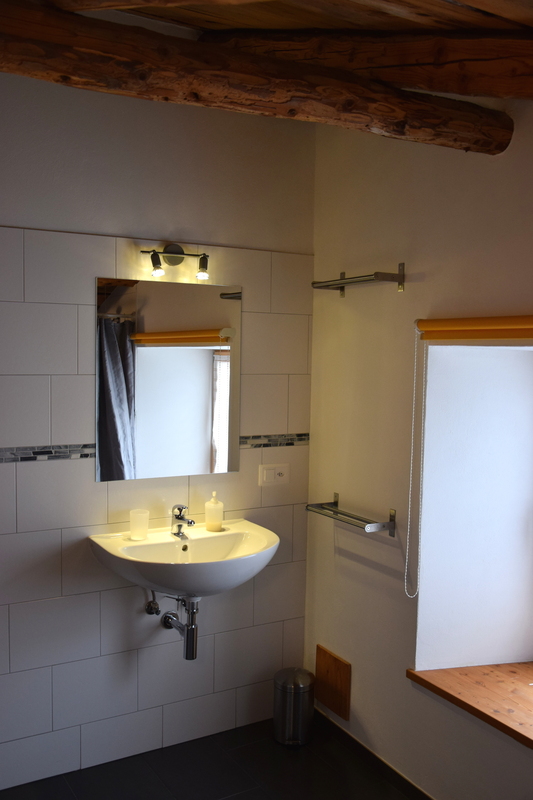 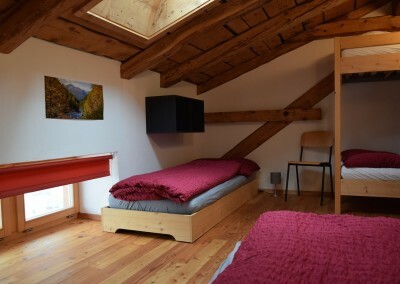 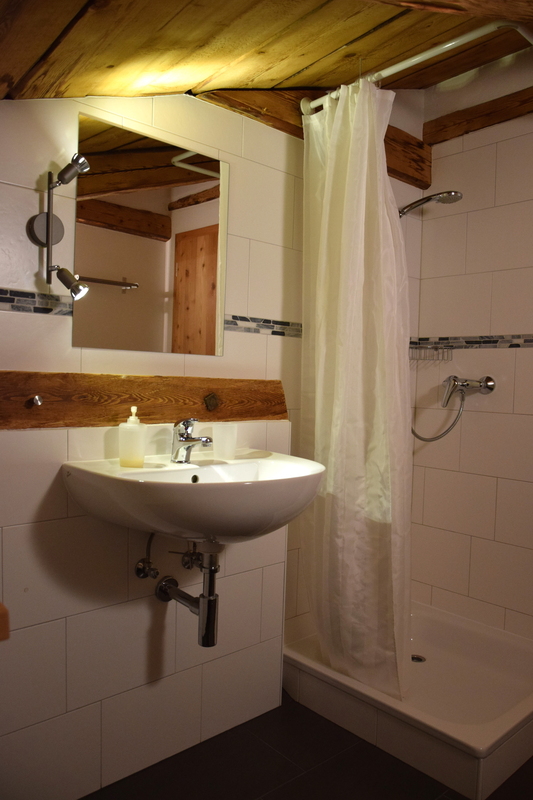 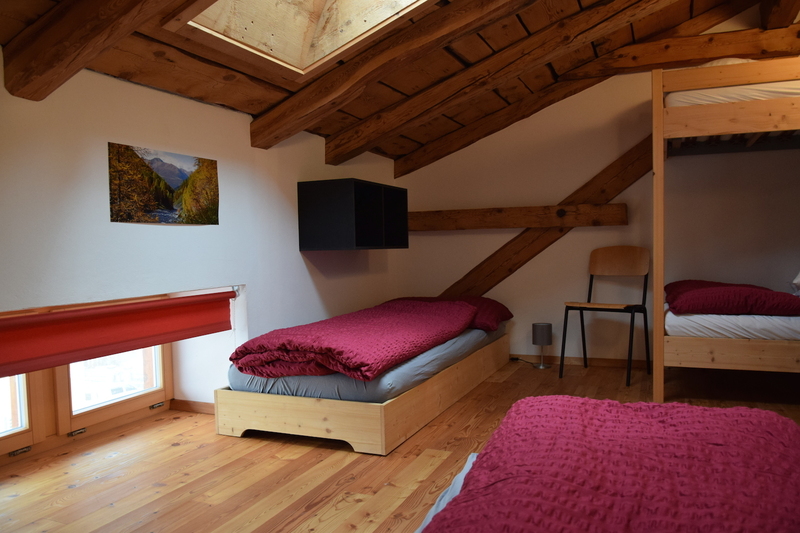 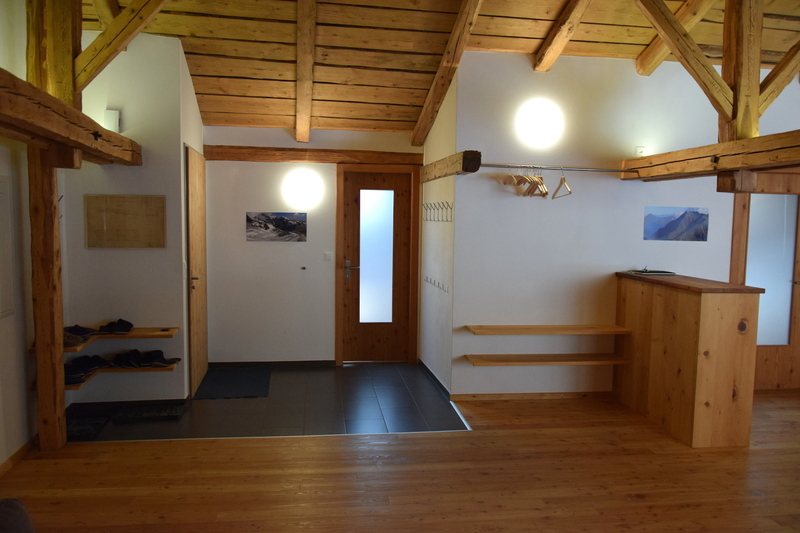 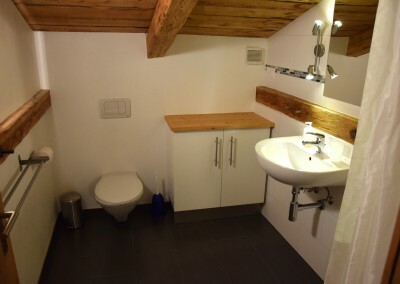 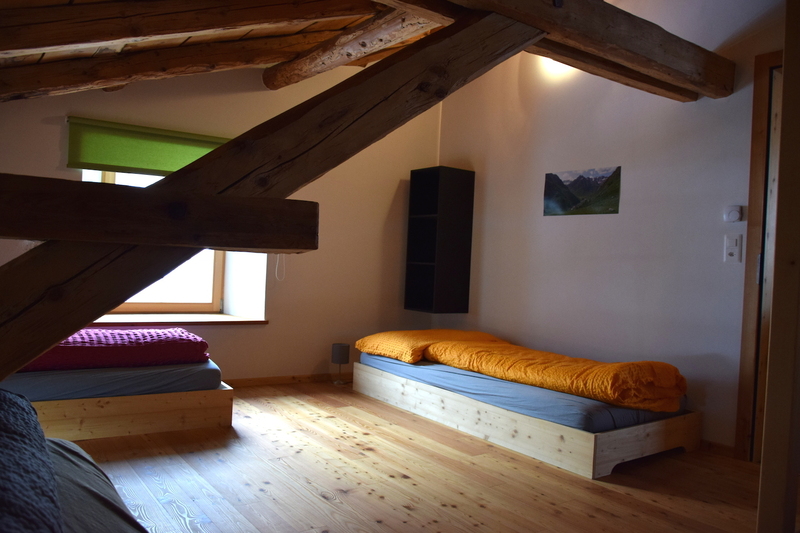 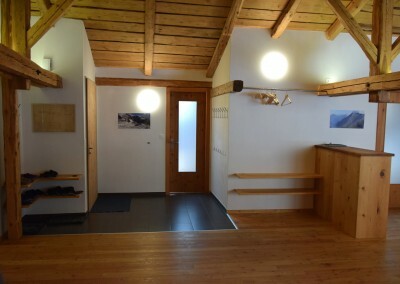 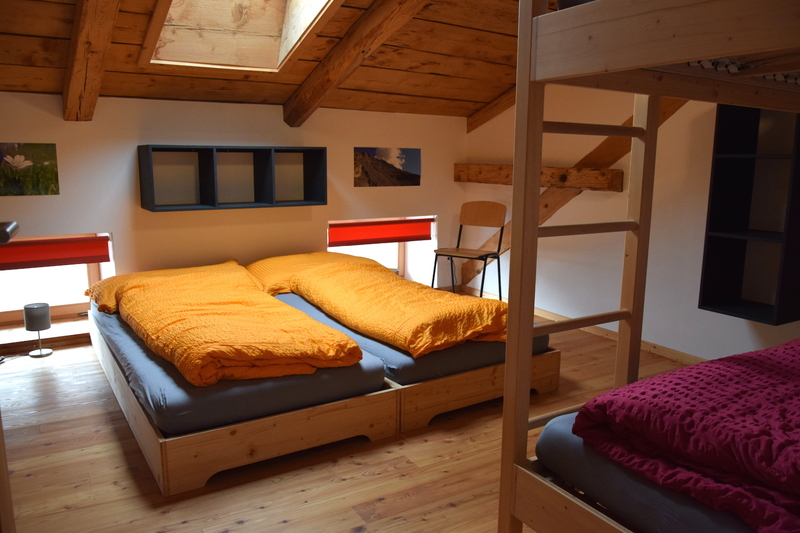 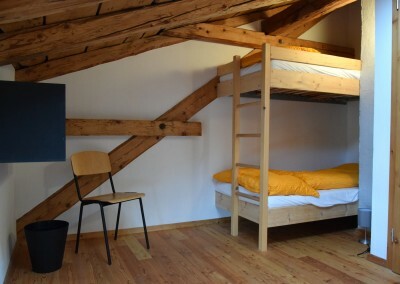 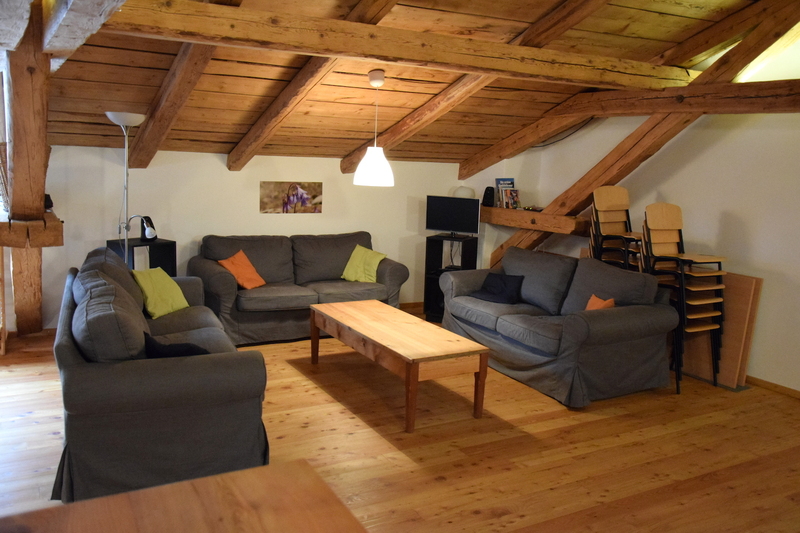 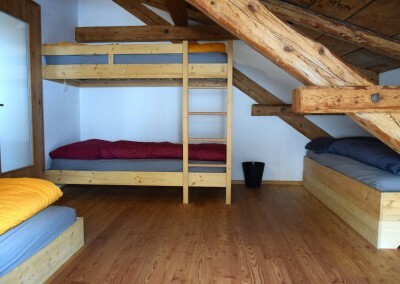 Our rustic and stylishly renovated loft has a cozy feel and is yet practical and very versatile! 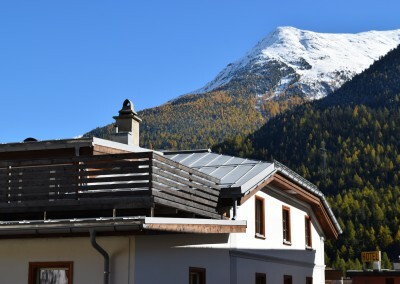 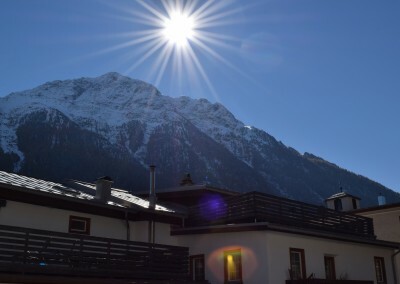 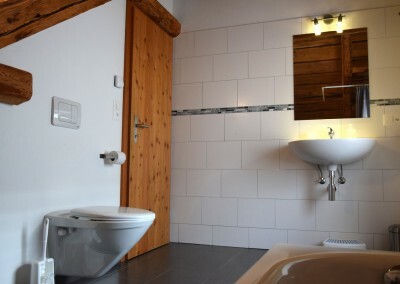 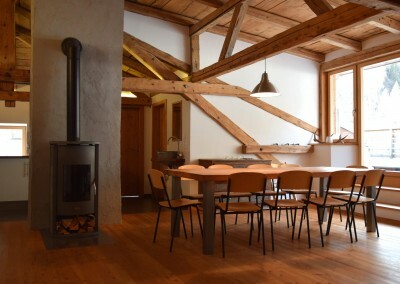 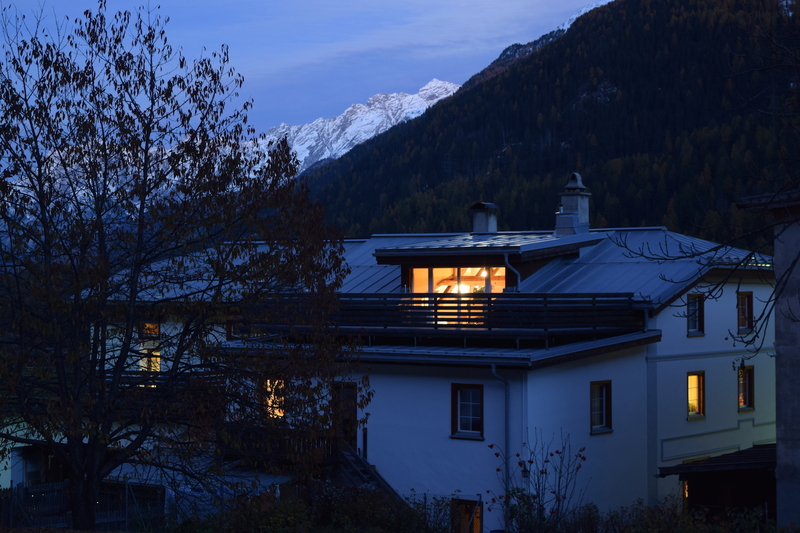 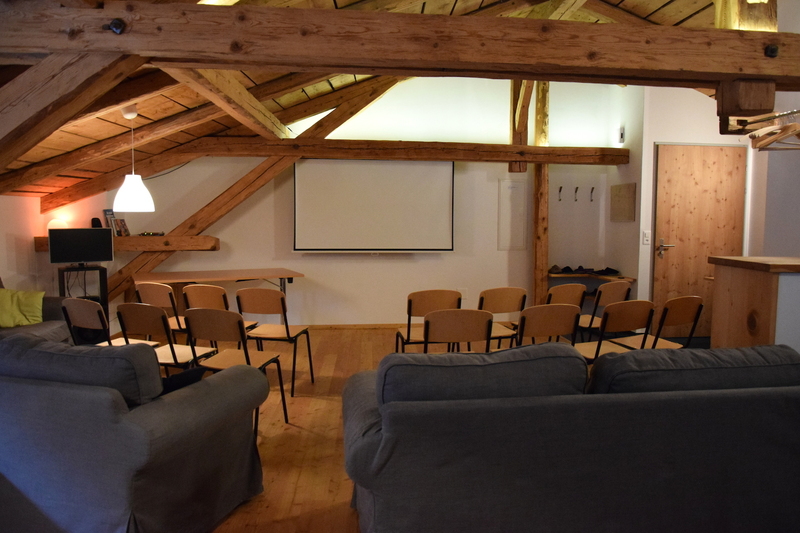 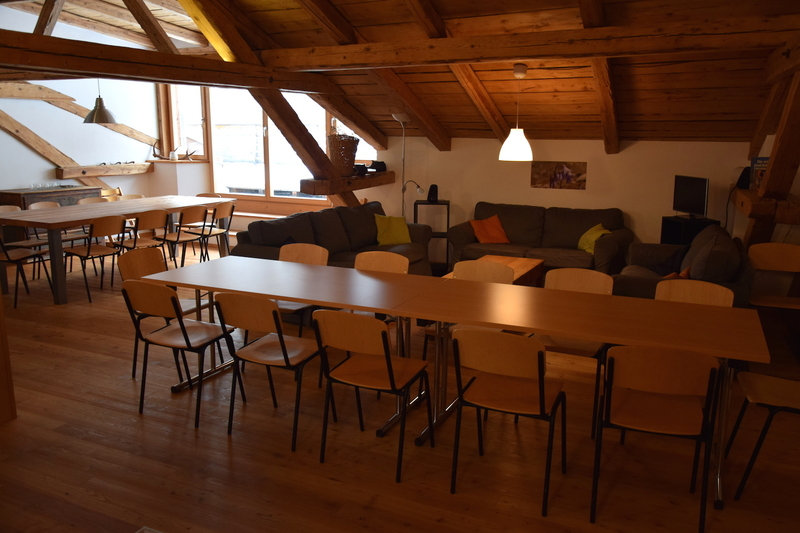 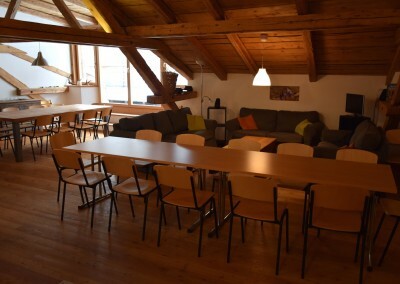 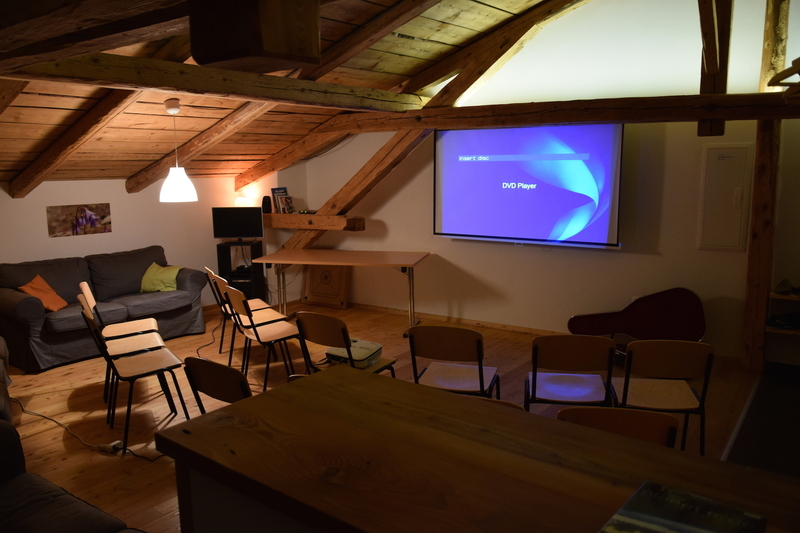 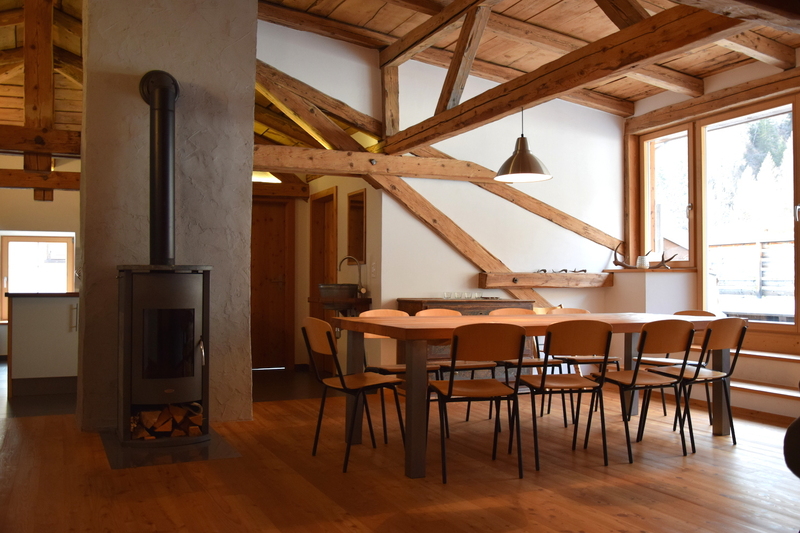 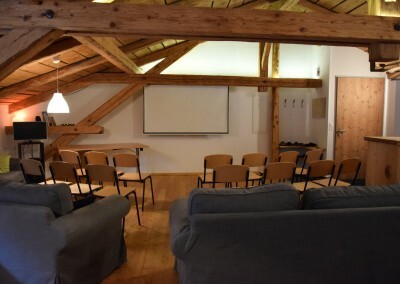 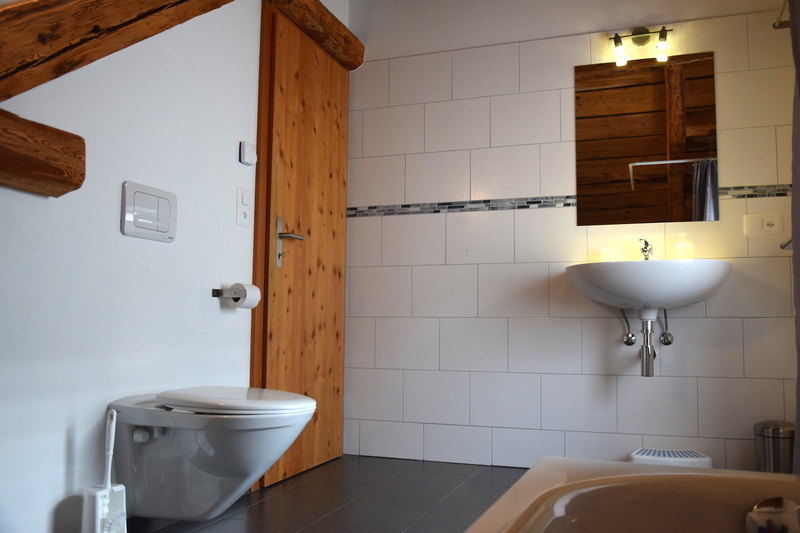 Whether for a group holiday of 1-3 families, or for team weekends and retreats, trainings, seminars, workshops or other small events … the “Palantschin” offers the right infrastructure and a special ambience! 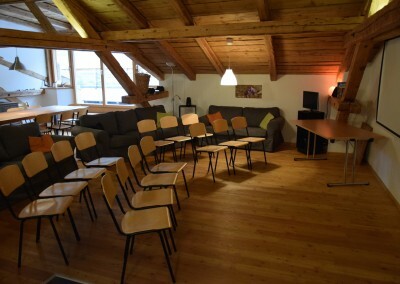 The living room can easily be converted into a seminar room with seating for up to 30 people. 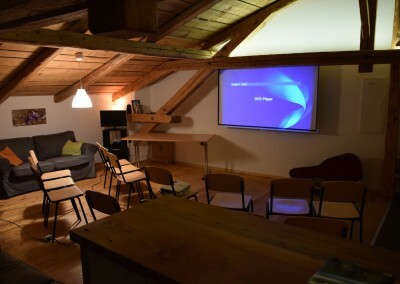 Projector, screen and music system are also available. 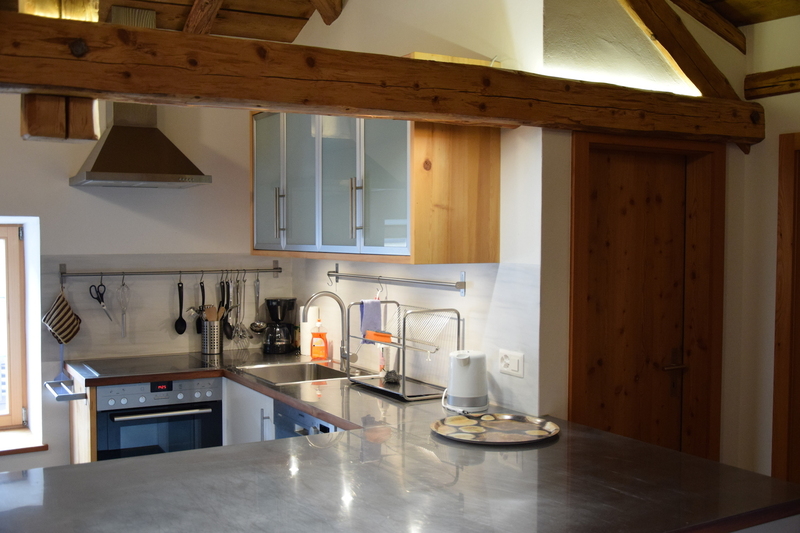 The kitchen is practically furnished and has everything you need for cooking for a group of people. 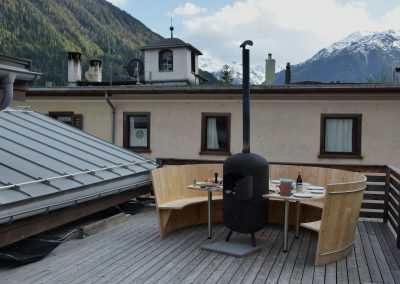 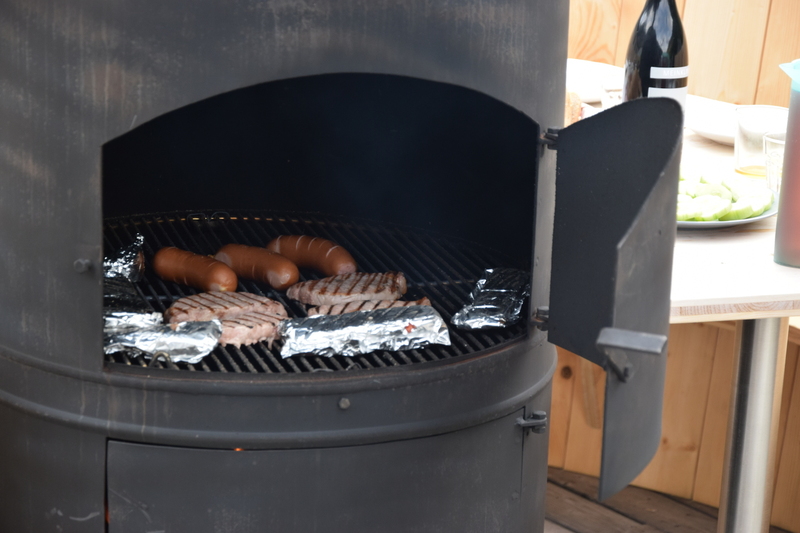 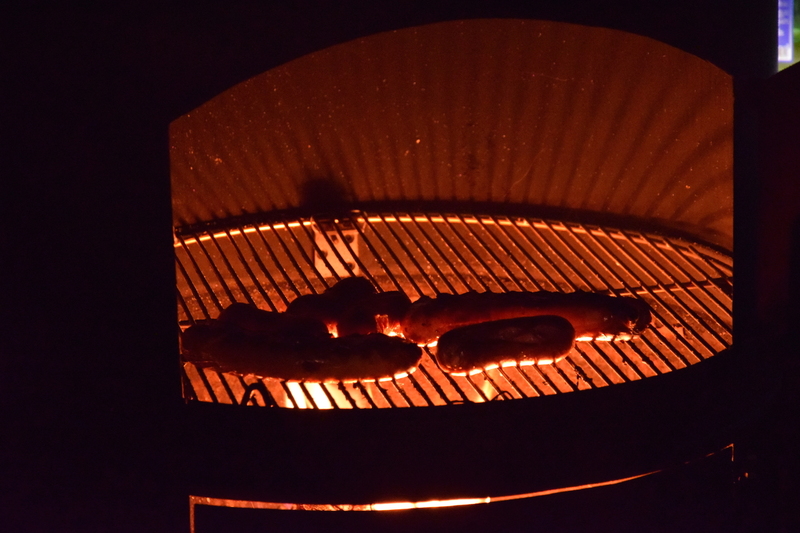 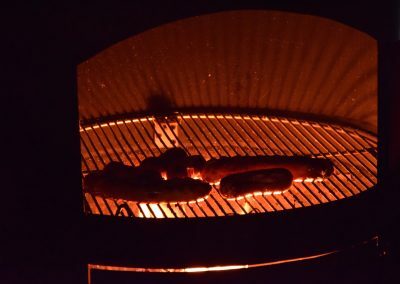 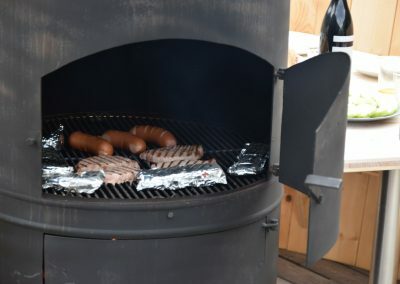 If required, a second oven can also be used by the Brunner family. 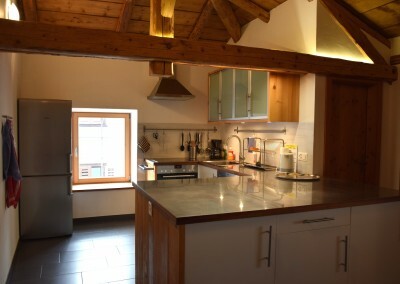 The large desk also allows cooking with several people in the kitchen. 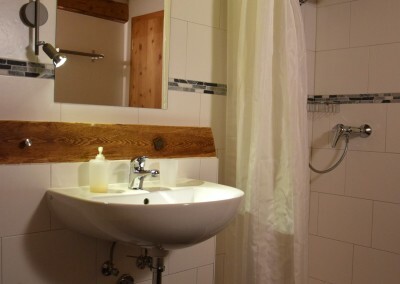 Oil, vinegar, standard spices, some tea as well as dish soap and towels are always available. 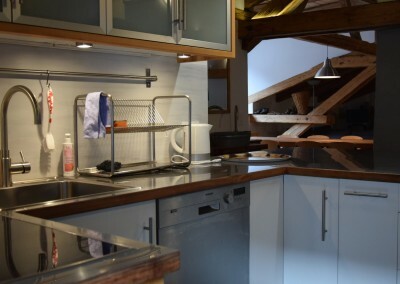 There is a filter coffee maker and a kettle. 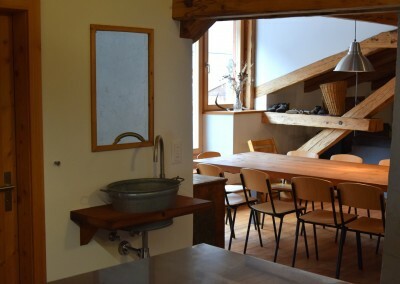 Fondue and raclette oven are also available, or can be borrowed from us. 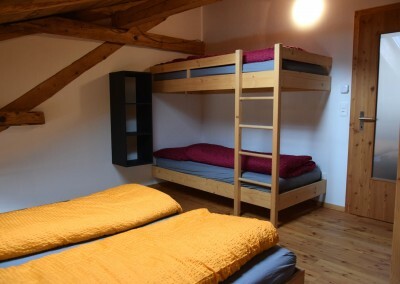 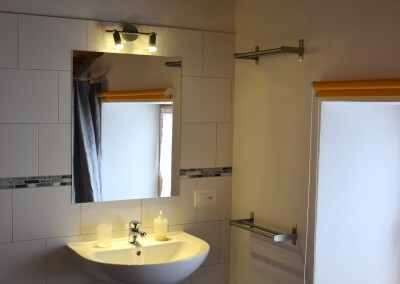 There are three bed rooms for a maximum of 16 people. 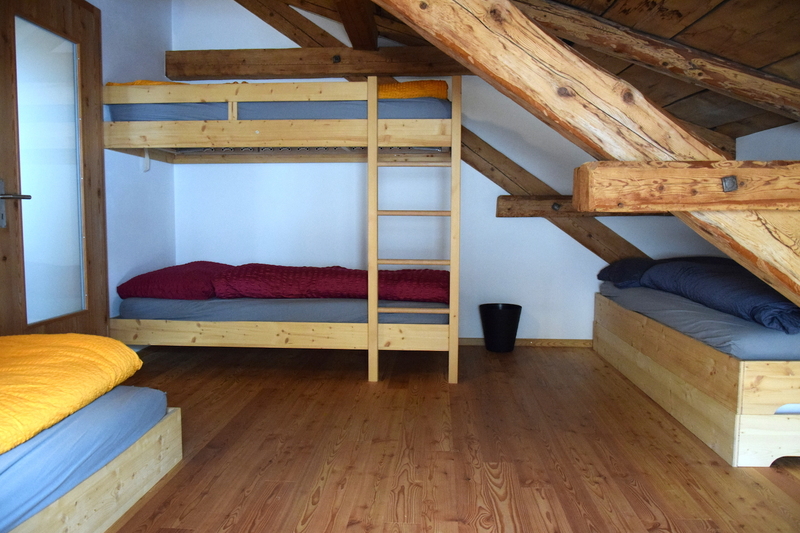 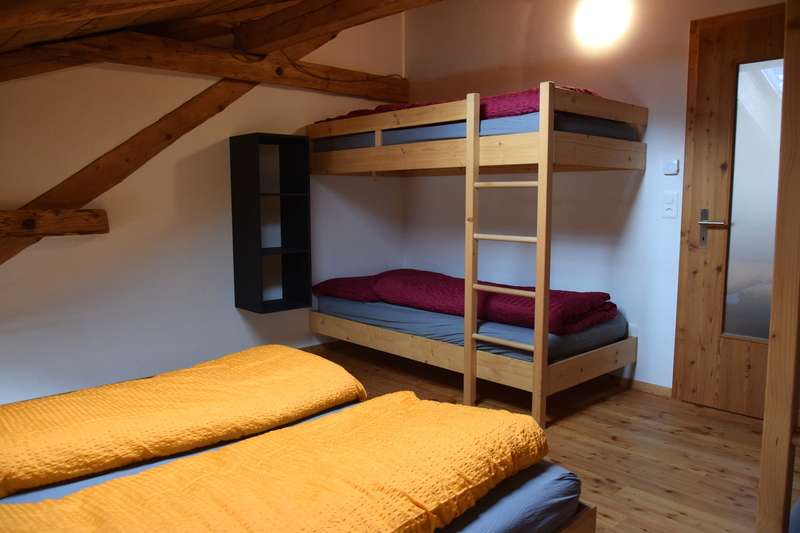 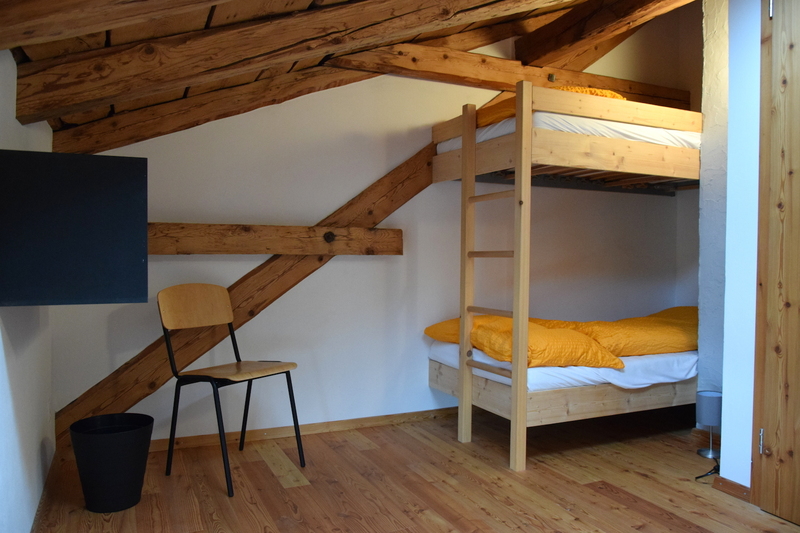 In addition to 1-2 bunk beds, each room also has 1-2 stackable beds, which can be placed side by side as a double bed or individually. 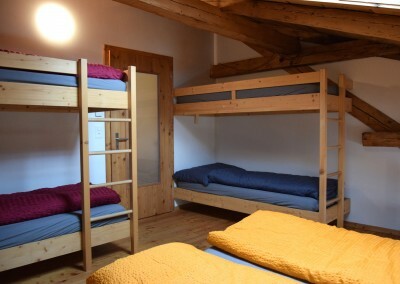 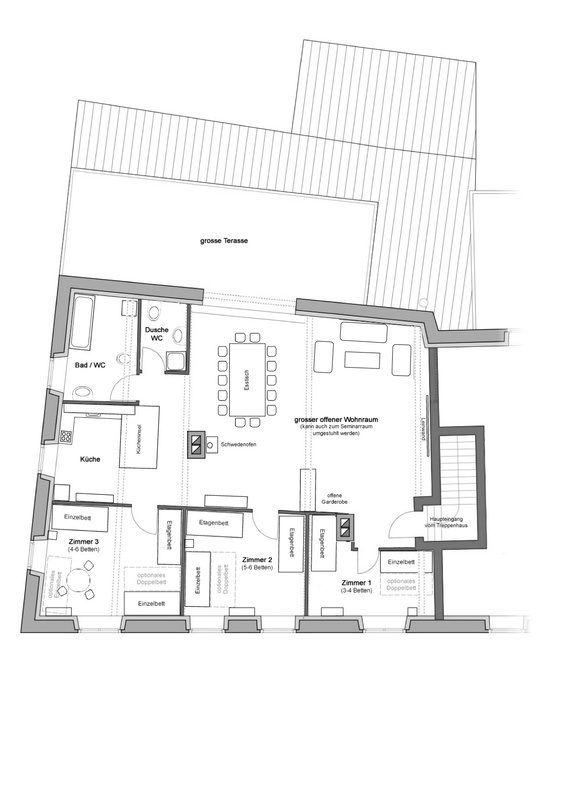 This way the rooms can easily be arranged according to the group’s need. Especially in summer the 40m2 outside deck is like an extended “living room” with an impressive view of the surrounding mountains! 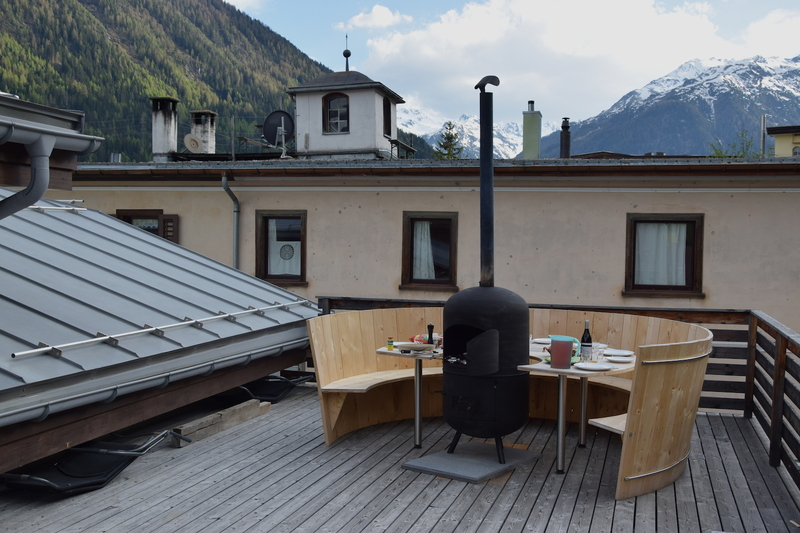 In addition to sun loungers, there is also a large round bench-table with a grill oven! 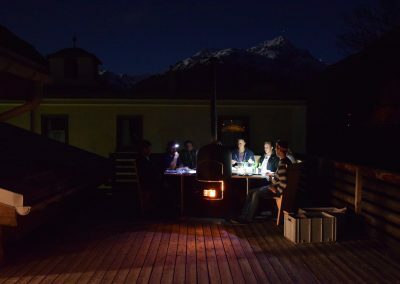 It functions like a dry hot tup, so you can sit outside all night :)!